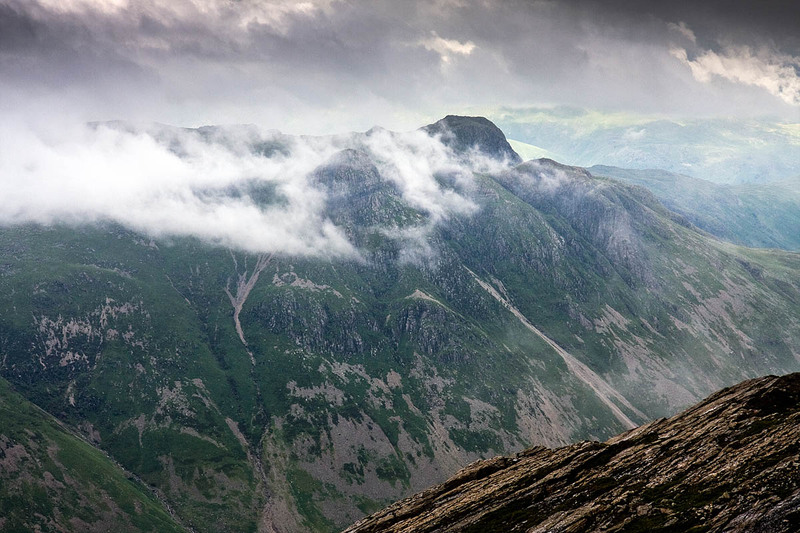 A climber suffered serious injuries when she fell more than 130ft from a crag in Great Langdale. The young woman fell 40m from Gimmer Crag on Saturday, resulting in multiple injuries. Langdale Ambleside Mountain Rescue Team was alerted about 12.50pm, one of four callouts on the same day which saw the volunteers enlisting help from five other mountain rescue teams. The Langdale team praised the flying of the crew of the Humberside Coastguard helicopter which winched the injured climber aboard in very difficult conditions. A team spokesperson said: “Weather conditions were very poor, and the chances of getting a vital helicopter evacuation looked unlikely. The climber was airlifted to hospital in Preston where her condition on arrival was described as stable. The 6½-hour operation involved 15 Langdale members working alongside rescuers from the Kendal, Wasdale, Duddon and Furness and RAF teams. The Langdale team had been in action earlier in the day when a walker suffered a heart attack on The Band on Bow Fell. He was stretchered down the fell to the Great North Air Ambulance which was waiting in the valley near Stool End, and flown to hospital. The group he had been walking with had the misfortune to have to call out mountain rescue again about 2pm when one of them suffered facial injuries when he tumbled while on the Climber’s Traverse on Bow Fell. The rescue took two hours. The final rescue of the day prompted a warning from the Langdale team that helicopter rescue is not always available. The spokesperson said a group of five ill prepared fellwalkers called for help when they got caught out in the dark about 5.15pm. Their impatience ?? Be interesting to hear more about that ! !